Following the instructions and materials of this pattern, Cat's Enough will measure about 17cm (7’’). He will be a different size depending on the hook and yarns size used. Payment methods: PayPal, Credit Card, Wire Transfer. Please not that you can ask a refund only if the files has not been downloaded. If you have any disturb, don't hesitate to contact me. Delivery by Email (Protected PDF file or link to share) protected with a watermark and an opening password. They are for PERSONNAL USE ONLY. The patterns orders are sent within 24h. Warning : the password to open pdf files is included in the email : this password will be the same for all patterns you would order in my shop. The patterns' watermark is your first & last names. Gift Order : Gift card are available on my website but not on Etsy shop. *Pdf files sent are protected with an open password and a watermark (FirstnameLastname) : please note that you will need Adobe Acrobate reader for free (version 7.0 required, ou equivalent) to open them without disturb. *You can download these files with a computer, mobile phone or tablet / you can print them with your computer but not with your mobile phone/tablet, because of this protection. 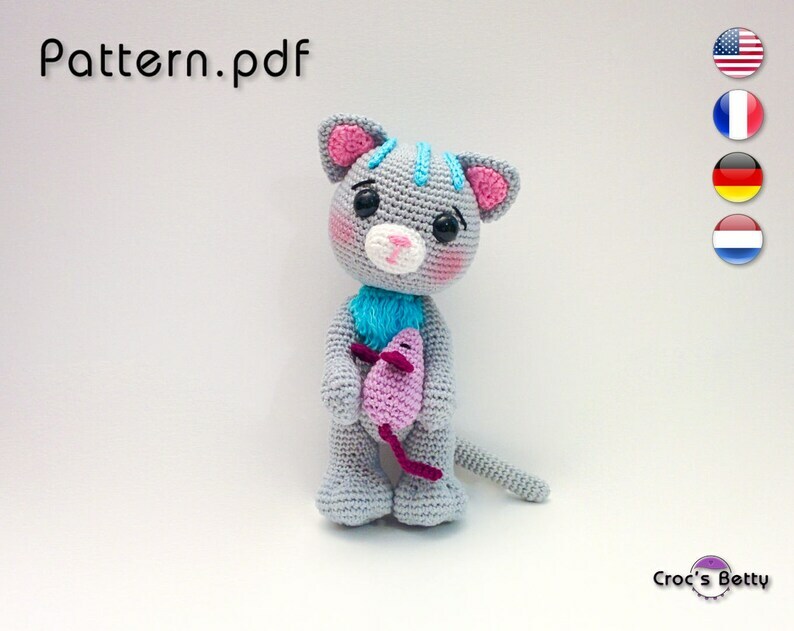 *Complete name and email address is needed to be able to send you the Pdf pattern(s). By accepting the terms and conditions of sale, customers give their consent to the inclusion of their full name on the pattern. IMPORTANT : By accepting the terms and condition of sales, customers give their consent to the use of their personal information if they don't respect the intellectual property.